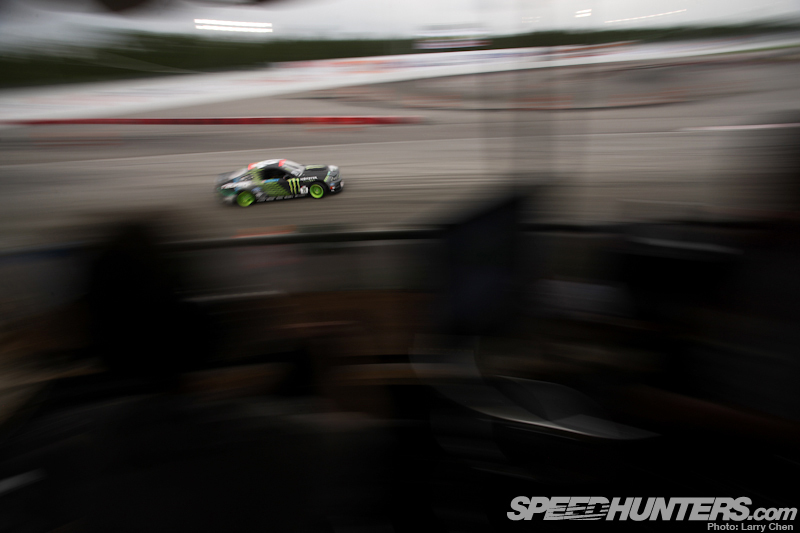 Vaughn Gittin Jr has qualified in first place, bouncing back after a string of bad luck. It seems he is back to his old ways again on the brand new Palm Beach course. He got a score of 94 out of 100 on his very first run, just grazing the clipping points with his rear bumper. Coming in second was Miro Ovcharik, also known as the ‘Insane Ukraine.’ This guy seriously made quite the impression when he ran a score of 91 out of 100. This is definitely the highest he has ever qualified. Tyler McQuarrie was looking great during practice. Unfortunately, right after his first qualifying run he ran into some engine troubles. Lucky for him he’d posted a good enough run to earn him the third qualifying spot. 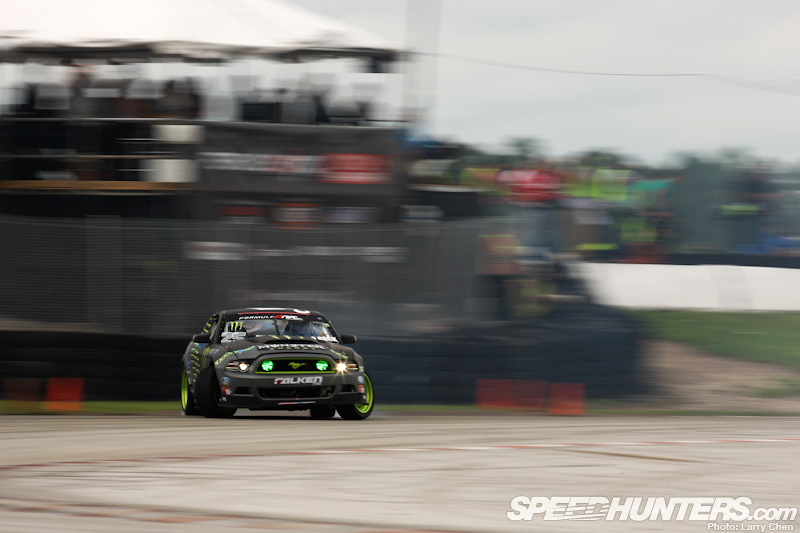 Our very own Fredric Aasbø could not really catch a break this weekend. It started pouring with rain during his second run, but he was still able to pull off 17th place. 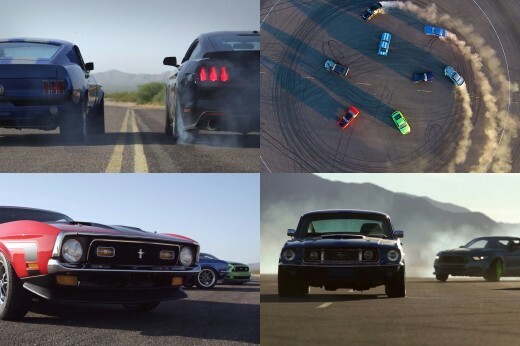 He has a great chance of meeting Vaughn Gittin Jr in the Top 16 again. Matt Powers was not far behind, in 18th place. He is paired up with Kenny Moen in the Top 32 bracket. They have already met once this year at the first round in Long Beach. It will be an interesting battle for sure, considering Kenny had the second fastest entry speed out of all the drivers. Lets see if Vaughn can seal the deal and get his first win of the season. 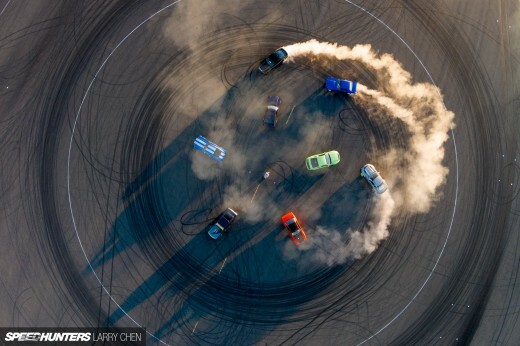 Stay tuned as we go into the main event of Formula Drift Palm Beach. first two photos look like simulation renders, amazing shots! Love the first 2 shots!! Unreal! Thanks for the coverage Larry!